Mobile computing is becoming so ubiquitous that people no longer bat an eye seeing someone working two devices simultaneously. Individuals and organizations are responding to the capabilities and flexibility that mobile devices provide. Between work-issued and personally owned devices, it’s not uncommon for a person to have two notebooks and two smartphones. But ultimately, people find relying on this many devices inconvenient, and organizations find it expensive. The solution to tackling this problem? Bring your own device. 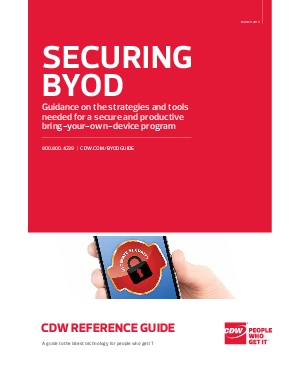 BYOD refers to using a personally owned device, such as a tablet or smartphone, for work purposes.